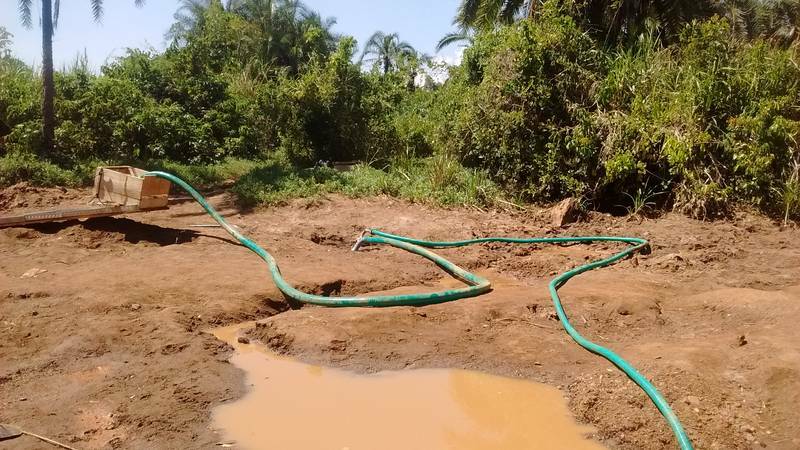 This was the simple and improvized hydro-nozzle setup on the sand beach of the river Okame. The hydro-nozzle was first time utilized in this location. People were curious to see that new mzungu technology.